If you’re a shopaholic like me and there’s just no saving you, then you’ve got to be wise about it! Avail of membership or rewards cards and look out for designer outlets so that you get to shop more with less guilt. One of my favorite places to buy designer pieces for reasonable prices is the Designer Outlet in Roermond! My last visit turnt out to be especially successful, against all my expectations! We were nearly done with our rather oppressive shopping trip as we entered the Michael Kors store. 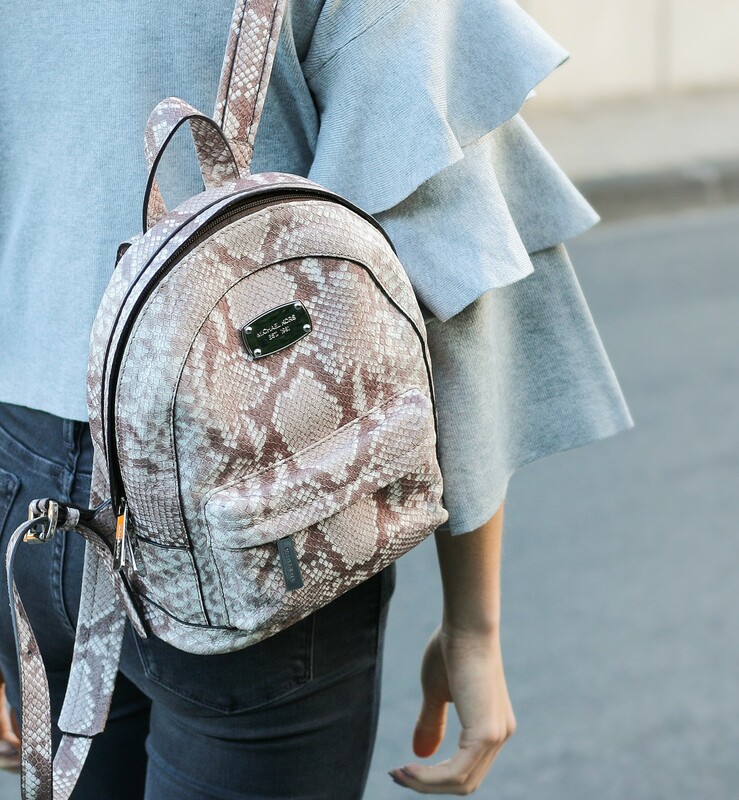 But as I saw this little Michael Kors snake print backpack on one of the shiny white shelves I picked it up in a heartbeat! It was love at the first sight and I’m really not a spontaneous buyer! Most of my purchases are very long considered until I finally kiss my savings goodbye to buy this one special jacket or this one marvelous shoe. Nevertheless this backpack owned my heart (and apparently also the whole content of my wallet) the second I entered the store. 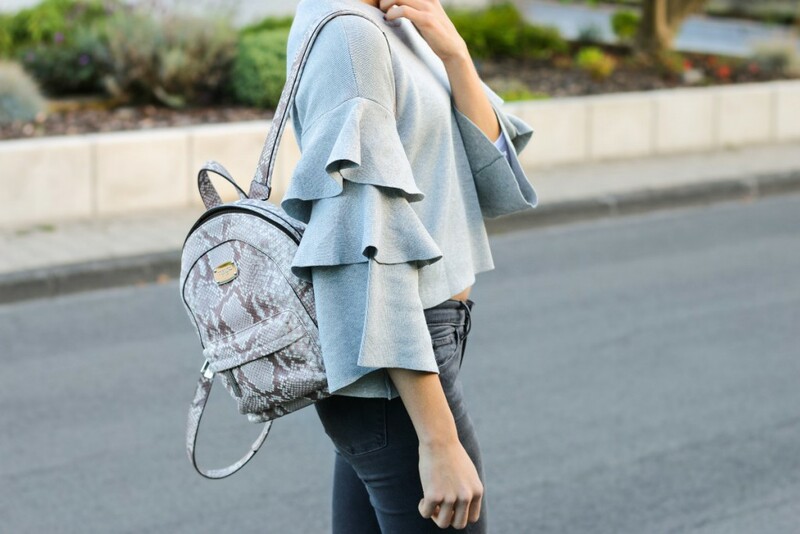 The backpack is sleek, polished and suitable for every occasion! Do I even have to go on? Isn’t that already everything a women looks for in a purse? Well, I could rave about it forever anyways! Since this is the bag you’ll want with you at all times. Perfect for a festival, night out with the girls or a day shopping. 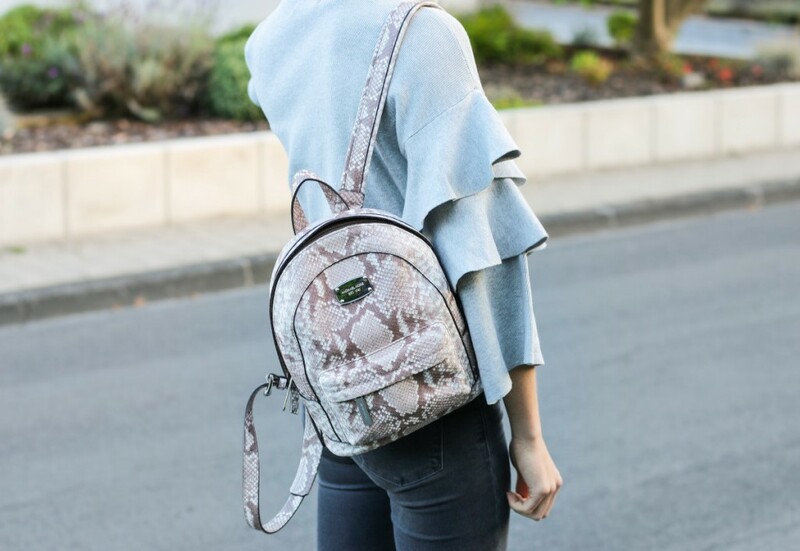 This backpack will hold all your necessary essentials. It has just the perfect size for your wallet, keys, phone and a camera, I even manage to squeeze my huge DSLR camera in there! It’s a little bit like Hermione Granger’s beaded handbag on which she placed an undetectable extension charm, so that you could easily stuff a mature elephant in there or a DSLR camera in my case. 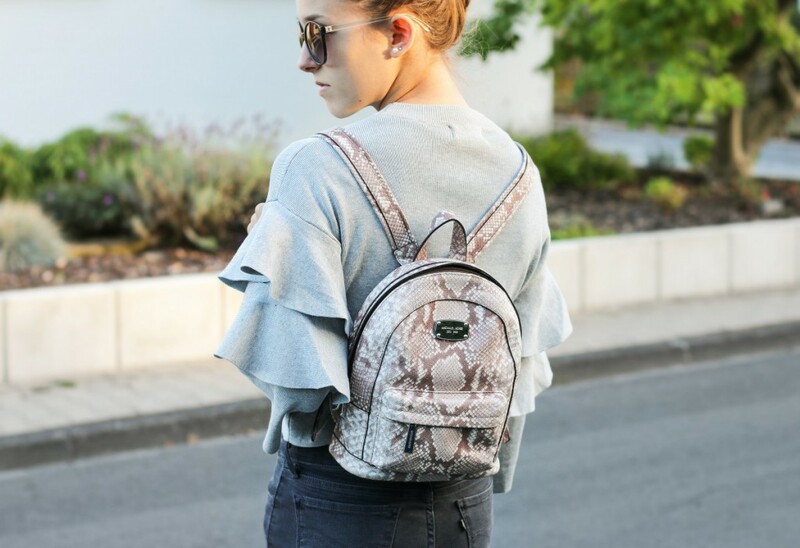 Howsoever a small backpack provides a versatile option for all your adventures and a better range of motion, which is specifically useful if you plan to go on a climbing tour or if you are just trying to make your way through the crowded Zara stores during the mid season sales.